Blur out the noise of the world and get immersed in your favorite music. There is only you and your music thanks to TaoTronics ANC technology. With swivel ear cups and an adjustable headband, maximum comfort is guaranteed. 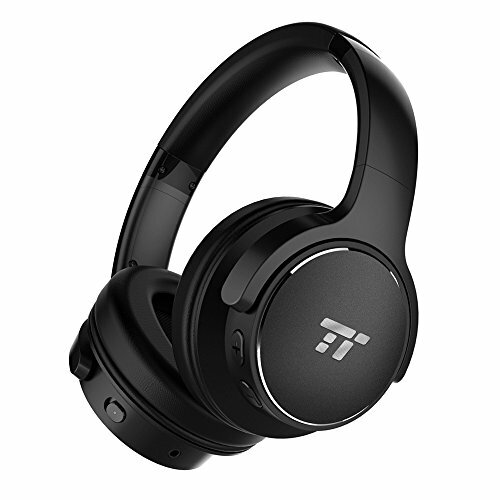 Whether it is long hours at the office or intercontinental travel, with the TT-BH040 has your back with up to 30 Hours of playing time per charge. The 40mm drivers of the headphones produce a balanced, powerful sound that will give your music the best possible playback. Take calls without taking out your phone out of the pocket. Crisp and clear connection both ways through the headphones’ built-in microphone.